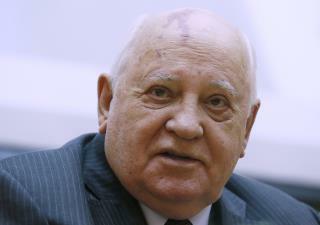 (Newser) – Mikhail Gorbachev, a man who knows a thing or two about being in charge of a nuclear superpower, is very troubled by what he sees in the world today. "Politicians and military leaders sound increasingly belligerent and defense doctrines more dangerous," the former Soviet leader writes in Time. "Commentators and TV personalities are joining the bellicose chorus. It all looks as if the world is preparing for war." Gorbachev—who ruled the USSR from 1985 until its dissolution in 1991—says of the world's many problems, the most urgent is the "militarization of politics and the new arms race," and he warns that with NATO and Russia moving their weapons closer to each other, now is the time to act. He is correct but nut cases like the North Koreans make it difficult to talk. The biggest problem in the world today is Putin. The world would be so much safer if Russia was not so intent on resurrecting Soviet greatness.